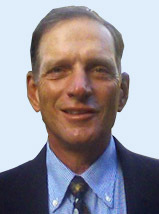 Geoff Bryant is founder, president & CEO of the United States Golf Teachers Federation. He also created the World Golf Teachers Federation and in doing so established employment opportunities for thousands of golf teaching professionals both nationally and internationally. A resident of Port St. Lucie Florida for the past 25 years Geoff, with the help of the USGTF national office staff, advisory board and the USGTF regional directors continues to direct both federations and their many initiatives. Charles has been a USGTF Level III member since 1997. He is currently head professional at the East Potomoac Golf Course in Washington, DC. Among his many clients he has been nicknamed the “Golf Angel.” Charles has given lessons to many members of the presidential and congressional staff of the United States including Vice President Biden. He has a passion for teaching golf and it certainly reflects on the success he has had in the industry. Bill is a longtime USGTF Level IV member and course examiner. He currently resides in Oceanside, California. Bill is the true epitome of a golf teaching professional having plied his trade for over 25 years. Bill has the unique advantage of teaching golf in several languages; he is a contributing writer to Golf Teaching Pro magazine and regularly attends all of our national functions. David is a longtime USGTF Level IV member and examiner. He currently resides in Oceanside, California and is the head golf professional at the San Luis Rey Downs Golf Resort. 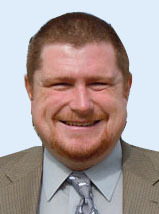 David has acted in the capacity of USGTF Examiner since 1992. His ideas, suggestions and input over the years have been invaluable to the USGTF. Jill has been USGTF Level III member since 2003 and currently resides in Moon Township, Pennsylvania. Jill is a two-time US Golf Teachers Cup Champion and former member of the Futures Tour. 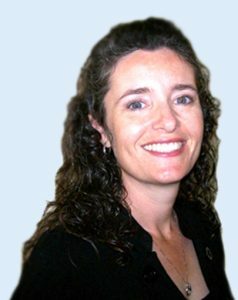 Jill’s friendly, open personality and knowledge of the golf swing has contributed greatly to her success as a teaching professional. She is a familiar face at all USGTF and WGTF tournament events. Ricky has been a Level IV member of the USGTF since 2005 and currently resides in the country of Tobago. 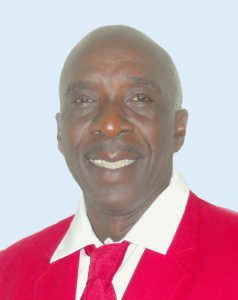 He was appointed the official Golf Ambassador by the Trinidad and Tobago Golf Association and the Ministry of Sport and Youth Affairs. Many USGTF members may be familiar with Ricky Campbell from his many years as a participant in both the United States and World Golf Teachers Cup events. 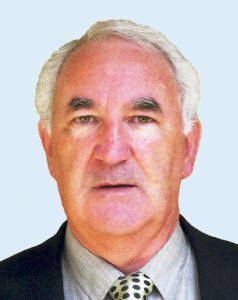 Thomas has been the director of the World Golf Teachers Federation since it’s inception in 1992. He holds the distinct honor of having certified more individuals in various countries throughout the world than any other person. Tom has a Bachelor of Science Degree in agronomy and horticulture from the University of Louisiana. As a USGTF master golf teaching professional he continues to conduct seminars throughout the world on the golf swing and the golf teaching profession. Anthony has been a USGTF Level III member since 2003. He currently resides in the country of Trinidad where he is the head professional at Saint Andrews Golf Club. He also holds the position of head golf coach at the Petrotrin Pointe-a-Pierre Golf Club. 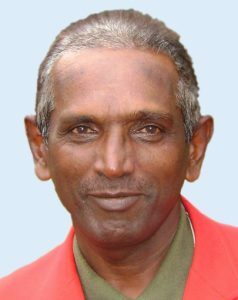 Anthony has been instrumental in creating the Trinidad & Tobago Golf Teachers Federation as well as in the development of golf in both countries. 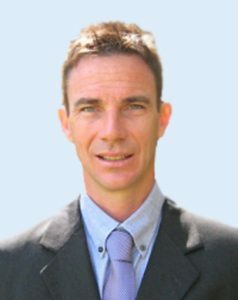 Gary is the President of the Australian Golf Teachers Federation and currently resides in Mitcham, Victoria, Australia. As an attorney, Gary acts as the official WGTF legal advisor in that part of the world. 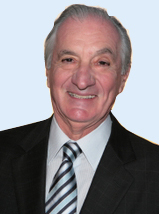 His legal advice has been invaluable to the growth of both organizations over the years. 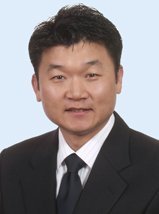 Steve has been the President of the Chinese Golf Teachers Federation for the past 10 years. In this capacity, Steve speaks perfect English as well as Chinese. In his dealings with the Chinese government Steve has been responsible for taking the golf teaching industry to new levels. WGTF members are now positioned throughout the country of China working in all aspects of the golf teaching industry. Leo has been affiliated with the USGTF since it’s inception in 1989. He has a degree in business management and has shared his thoughts and ideas on the growth of the USGTF and WGTF continually over the years. He is currently employed by the New York City Parks & Recreation Department where he actively teaches over 400 students every summer. Sam is Vice President of the United States Golf Teachers Federation. He has worked at the USGTF national office since December of 2005. Sam graduated with a four-year degree in business at Florida Atlantic University. 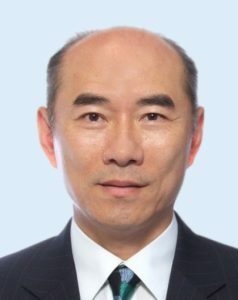 His daily activities at the USGTF national office include new projects, web management, marketing and overseeing general growth of the organization. Sam’s unique sense of humor is also much appreciated among his peers at the national office. Charles has been a USGTF Level III member since 1995. He resides in Heidenheim, Germany. Charles acts as the official WGTF European representative and liaison between all European WGTF member nations. As a successful business man, his keen observations and suggestions over the years has been invaluable to the growth of the USGTF. 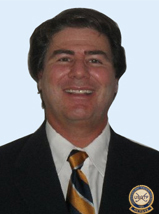 Dr. Patrick J. Montana Ph.D.
Patrick J. Montana, Ph.D., is a USGTF Level IV member and currently resides in Fort Myers, Florida. 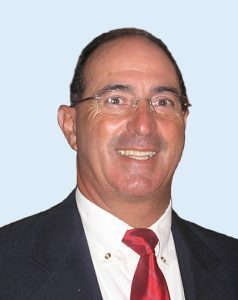 Dr. Montana is the current director of the United States Golf Managers Association. He is author of 27 books on management, marketing and career life planning. 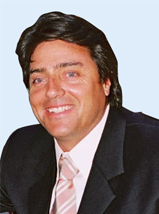 Dr. Montana teaches golf at Fordham University in New York and at the Alico Family Golf Center in Florida. 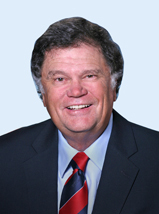 Dr. Montana is a trustee of the First Tee of Lee County. Greg Steinberg is a long time USGTF Level IV member and the official USGTF Sports’ Psychologist. 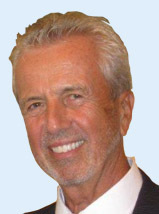 He is a world-class speaker and renowned expert on peak performance in sports and business. Gregg has appeared on CNN Headline News, Fox News Live, ESPN radio and hundreds of sport radio shows throughout the country. He currently resides in Nashville, Tennessee. Charles Hunter has been a level III USGTF member for the past 12 years. He is the head teaching professional at the Fort Washington Driving Range in Maryland. Charles has a staggering 800 clients that he teaches which keeps him busy 7 days a week. Charles attributes his success to his personal love of the game, his honesty with clients and his strong determination to assist anyone with a desire to hit a golf ball. Anthony is originally from South Africa and has been a USGTF member since 1999. His promising golf career was cut short by a car accident in which he suffered paralysis from the waist down. As a former student of engineering, and not to be one to give up on life, Anthony gathered together several of his peers and created a specialized wheelchair which enables paralyzed people to actually stand in order to hit a golf ball. He then created the Standup-and-Play program and tours the country instructing golf to paralyzed individuals. Mark has served as the USGTF’s National Course Director since 1993. After receiving his B.A. in Computer/Information Systems from Franklin College in Indiana, Mark went to work for Chase/Clark Credit Company, but soon turned to golf. A five-time champion of the United States Golf Teachers Cup and two-time individual champion of the World Golf Teachers Cup, Mark has won 13 professional events overall. In 2004 he was named to the USGTF’s Hall of Fame, and in 2006 was named one of the WGTF’s Top 60 Teachers worldwide. He currently resides in Ridgeland, South Carolina, and is married to Coyne LaMoreaux. They have two sons, Chris and Michael. 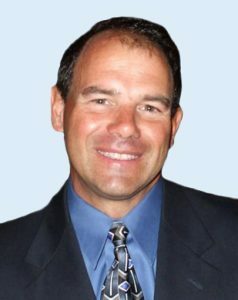 Mike Stevens has been a USGTF Level III member since 1995. He currently resides in Tampa, Florida where he has established his own golf teaching operation at MacDill Air Force Base. Playing-wise, Mike is a regular participant at USGTF and WGTF tournaments. He is the 2004 United States Golf Teachers Senior National Champion. He is also one of the finest hickory shaft players in the nation and is the 2005 & current national champion. He has a Bachelor of Science Degree and a Masters Degree in Human Resource Management. Mike is also an accomplished golf writer and a regular contributor to Golf Teaching Pro magazine. 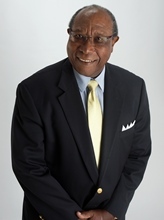 Dr. Gerald Walford has been a USGTF Level III member since 1992. 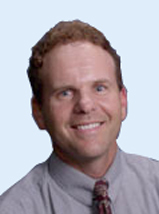 Dr. Walford has a PHD in sports psychology and has written a total of 27 books on golf related subjects. He has also done extensive work in the making of various USGTF instructional DVD’s as well as presenting several golf instruction programs on Fox television. His presence on the USGTF advisory board certainly brings a variety of personal skill sets to the Federation. Charles Whitney has been a USGTF Level III member since 1995. He has a background in engineering and commercial–residential development. Charles has been a member of the prestigious Salem Country Club in Massachusetts for the past 26 years. As a world traveler, he has been greatly influential in his guidance as to the growth of the World Golf Teachers Federation. 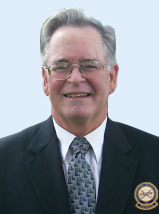 Bob has been with the United States Golf Teachers Federation since it’s inception in 1989. 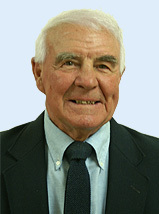 He has been teaching golf for over 40 years and has always been an integral part of our organization. 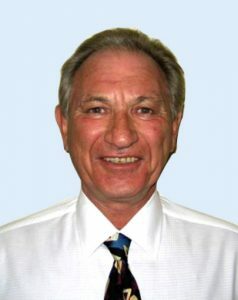 Bob’s greatest asset is his likeability and positive disposition and this comes across in his capacity as National Coordinator conducting USGTF certification courses throughout the country. Brandon is the president of the USGTF-FLC and holds the position as USGTF vice president in charge of domestic development of foreign language courses. He currently resides in Irvine, California. Brandon has studied sports science for his PhD at the University of Tsukuba in Japan. His ideas, passion and dedication have had great impact on the development of the USGTF. 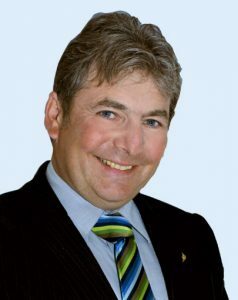 Norm Crerar lives in Vernon, British Columbia, Canada. He is actually better known for his skiing endeavors than golfing skills. He was owner of Silver Star Ski Resort in BC and is past-president of the Canadian Ski Instructors Alliance. He is also past-president of Inter-Ski which is the International membership for ski teaching professionals. 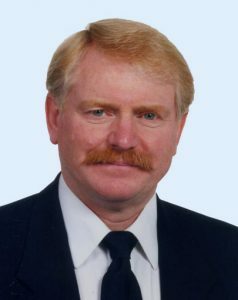 Norm has spent over 40 years in the customer service industry, has written books on the subject of customer service and has been a featured speaker on this subject throughout North America. He is also a regular contributing writer for Golf Teaching Pro magazine. 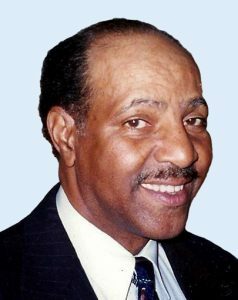 A native of Jamaica, Lowe came to the United States and received his doctorate in psychology from Texas Christian University in Fort Worth. 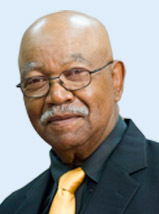 Lowe worked at Lincoln Medical and Mental Health Center in the South Bronx, New York, for a number of years. Outside of work, he was involved with the Boys & Girls Club, using golf to help young people learn about life skills and was involved with The First Tee program. Lowe currently retired, lives in West Palm Beach, Florida and still serves as a golf coach with his church group. He also is author of the book Counseling in Public Schools, which is a manual for guidance counselors.